Jay was the Principal Tubist with the Florida Philharmonic Orchestra, a position he held from 1985 until 2003 when the FPO ceased operations. A native of Royal Oak, Michigan, Jay is a graduate of the Interlochen Arts Academy. He holds a Bachelor of Music degree from the University of Michigan and a Master of Music degree from the University of Illinois. 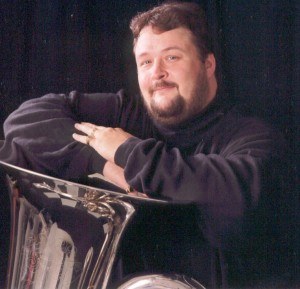 Jay is also the tuba and euphonium instructor at Broward College and Florida International University. . He is the founder and director of the FIU Tuba Ensemble “Dies Irie”, a semifinalist in the Quartet Competition at the 2002 International Tuba and Euphonium Conference (ITEC). Jay was also a featured artist at the 2002 ITEC. He presented a masterclass on orchestral tuba and cimbasso playing and was the chair of the Arnold Jacobs Mock Orchestra Tuba Audition. Jay was also featured at the 2007 SERTEC held in Sarasota, where he chaired the masterclass session and participated in a roundtable discussion on performance careers in music. In addition to his teaching responsibilities, Jay is also an active freelance performer in the South Florida area. He is Principal Tuba and Cimbasso for the orchestra of the Florida Grand Opera. He is also Principal Tuba and Cimbasso for the Miami Symphony Orchestra, the Palm Beach Symphony, the Klezmer Company Orchestra, the Boca Raton Symphonia, and Keith Brion’s New Sousa Band. Jay also plays Cimbasso for productions of Opera Naples, Opera Tampa, as well as for the renowned singer Andrea Bocelli. Jay is a member of Mensa as well as of Pi Kappa Lambda.